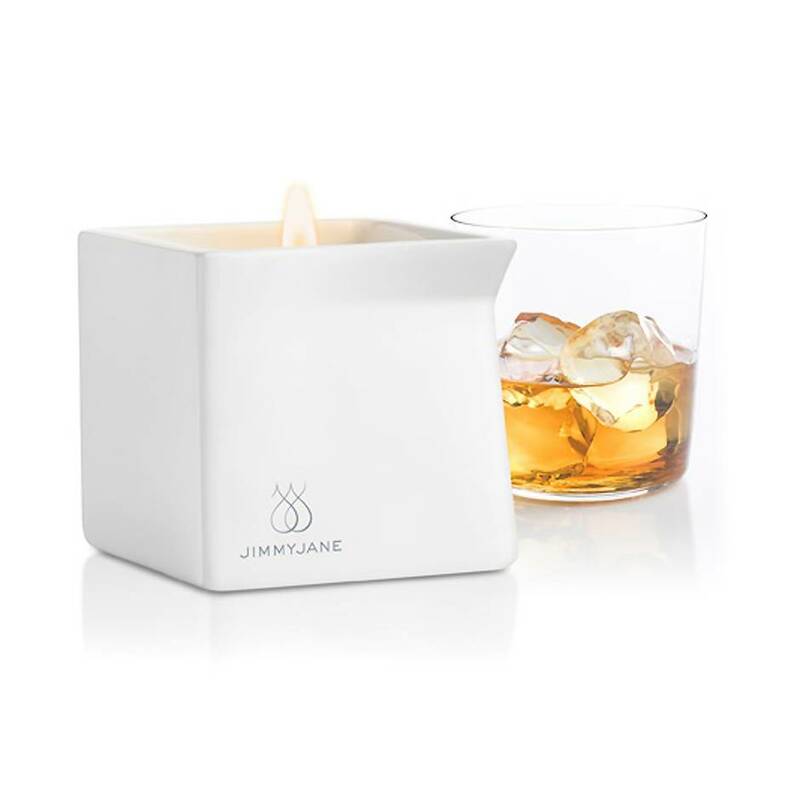 Immerse your senses in the rich, smokey aroma of Jimmyjane's bourbon scented candle and nourish your skin with the shea butter-infused natural wax. Drizzle the warm, melted wax onto skin and massage the silky formula deep into tired muscles. Pour the velvety, scented massage oil onto your lover's skin with the tapered spout of the ceramic holder, massaging it deep into their muscles. Enriched with shea butter, the moisturising, wax leaves skin feeling nourished and smelling delicious. With a low melting point the wax won't burn or scald the skin, it simply just softens and hydrates. What can I say that other reviewers haven't already said? I based my purchase on the feedback given by those who've gone before me. I highly recommend this candle for smell, ease of use and temperature on skin contact. Also important for me was the wax actually rubbed in properly rather than drying and flaking off like other massage candles I've used before. Yes, it's expensive. But it lasts a long time and smells and feels divine. Smell, texture, ease of use, the fact that the wax doesn't flake off. Spend the extra on this for a treat or just sheer indulgence! The smell is heady, and feels decadent. This candle has such an alluring and unique smell that I just had to get my hands on one. It is presented in a very beautiful but simple box and I really would suggest this as an ideal romantic gift - especially along with the matching contour stone they sell. Now before we get down to massage business the candle is body safe, paraben-free and is not tested on animals. Sounds great, right? Why yes, it is! The container is made of porcelain as well which really does give it that luxury feel. It is more expensive than other massage candles but I think with all of these features it is worth the price. I personally found the wax to be quite unique in consistency and it is not your typical candle wax. I think the shea butter, in particular, does make the candle ‘greasy’ if you will, but in a good way. Once lit the candles aroma is absolutely amazing. I don’t even like bourbon, but the smell is to die for. You have a little spout on the edge of the candle to pour the wax out of which really helps pinpoint where you are wanting to put it. A lot better than your typical little spoon. Once massaged into the skin it smells wonderful and leaves the skin very silky at a very nice warm temperature. The only downside I can comment on is after use my wick did burn a little too much I think and has turned some of the wax black, which is not the most attractive. It also put me off wanting to use the candle again, unfortunately, but I am not entirely sure if this was my fault or not. 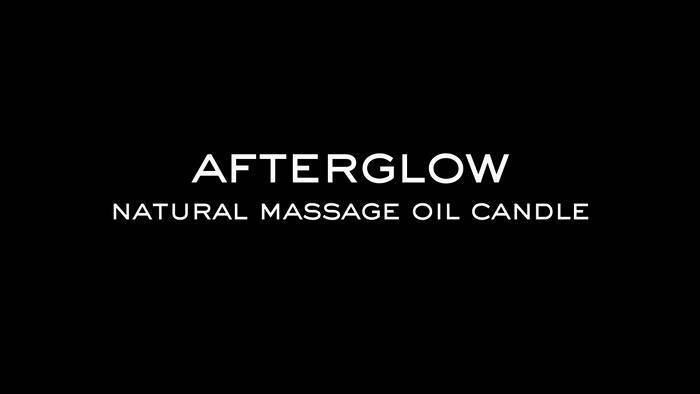 All in all, this is the best quality and luxurious massage candle I have ever had. Gets a little waxy quite quickly.